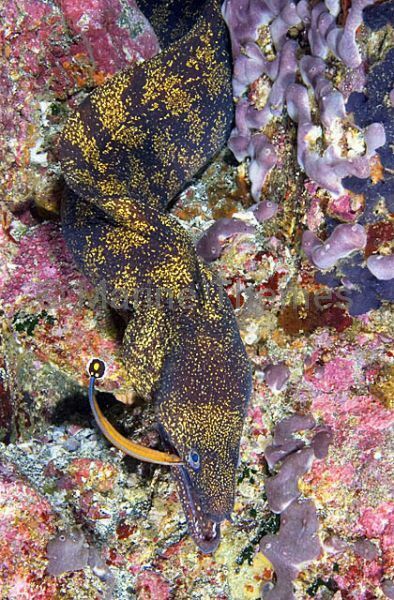 Kidako's Moray (Gymnothorax kidako) with small cleaner wrasse. 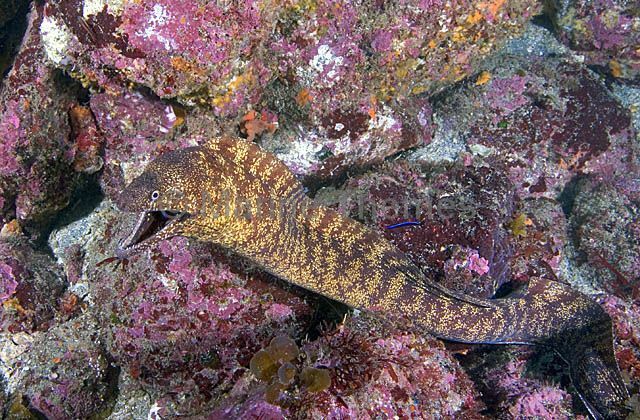 Kidako's Moray (Gymnothorax kidako) on rocky reef. 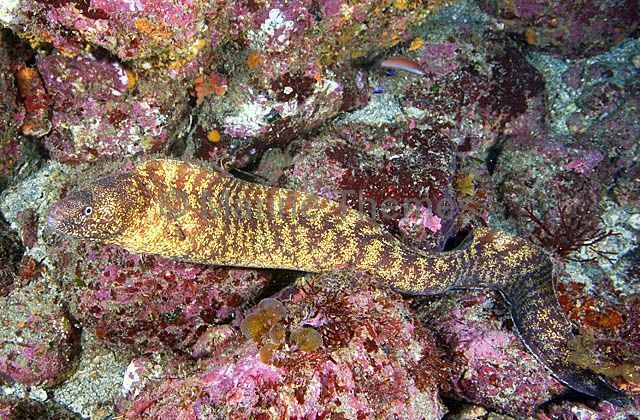 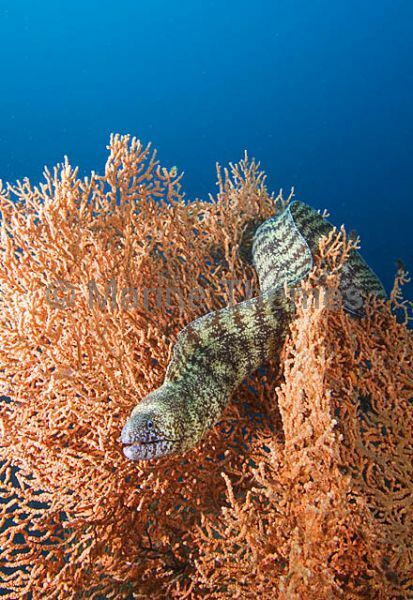 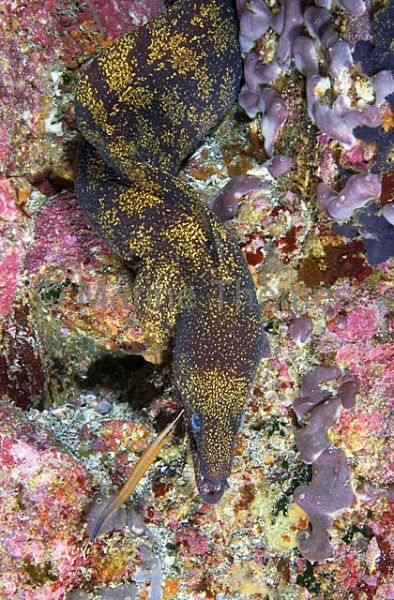 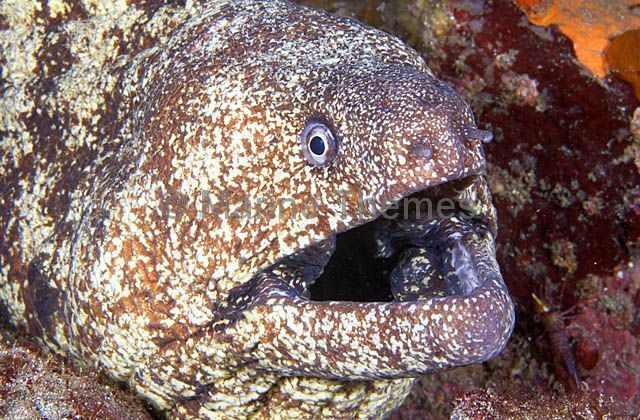 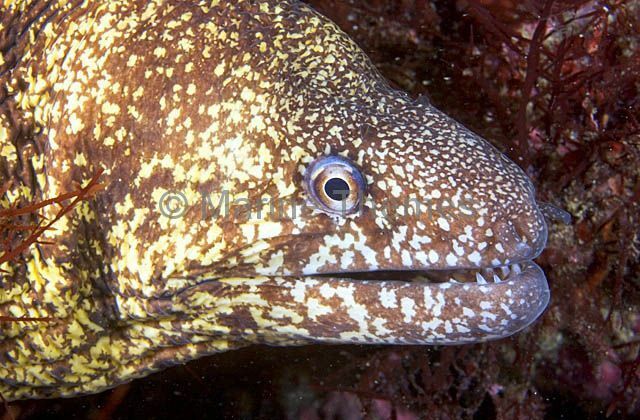 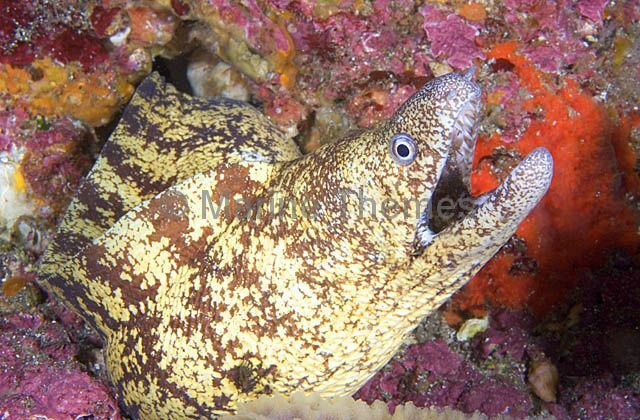 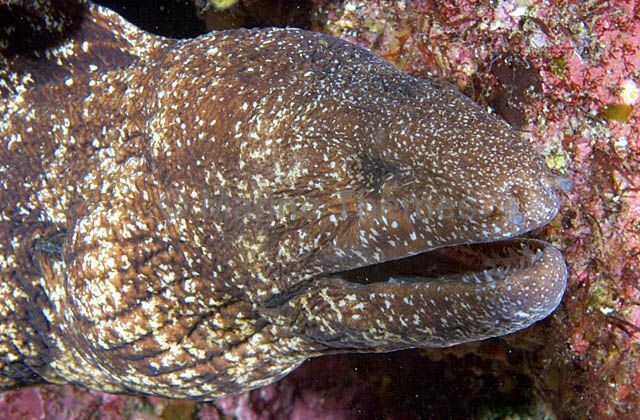 Kidako's Moray (Gymnothorax kidako) profile. 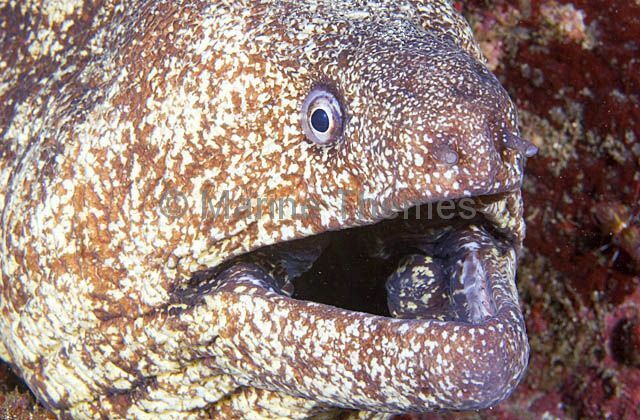 Kidako's Moray (Gymnothorax kidako) Large blind adult. 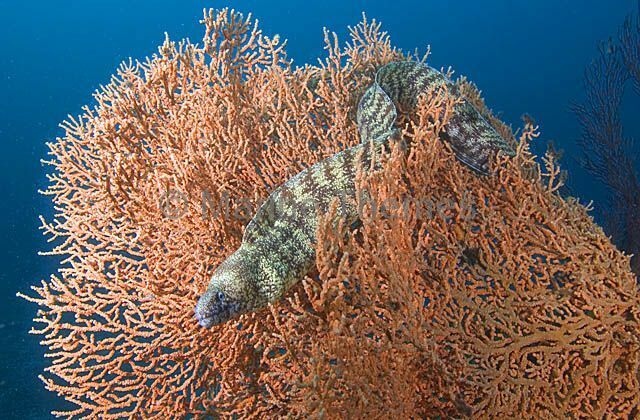 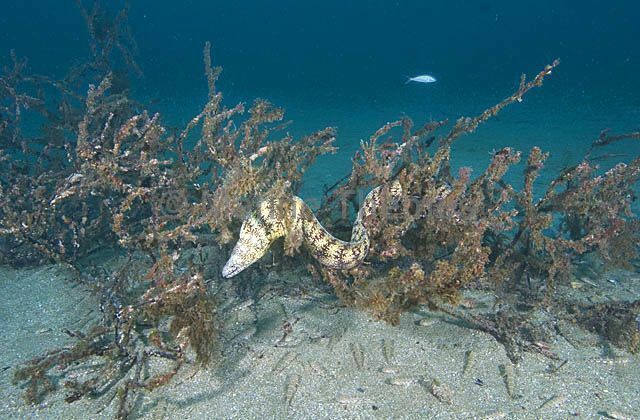 Kidako's Moray (Gymnothorax kidako) hunting for Japanese Sand Gobies (Sagamia genetonema) which are sheltering below the branches of a submerged tree branch.